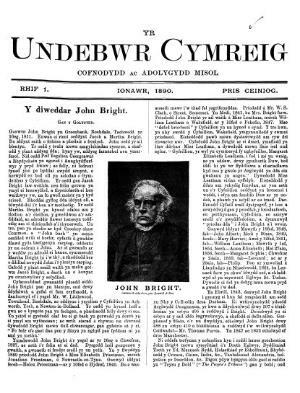 The monthly Welsh language political periodical of the Liberal Unionist Association. The periodical's main contents were political articles, in particular opposing home rule for Wales and Ireland, news and biographies. The periodical's editor was the schoolmaster, journalist and author, Henry Tobit Evans (1844-1908), who was also honorary secretary of the Cardiganshire association.